Our Bungalow is situated 4 km from Panchgani, 12 km from Mahableshwar and 3.5 km from MAPRO Garden. This Bungalow has 4 furnished AC bedrooms and huge hall. It has 2 beautiful terraces overlooking the panorama. Well equipped kitchen and cook service. 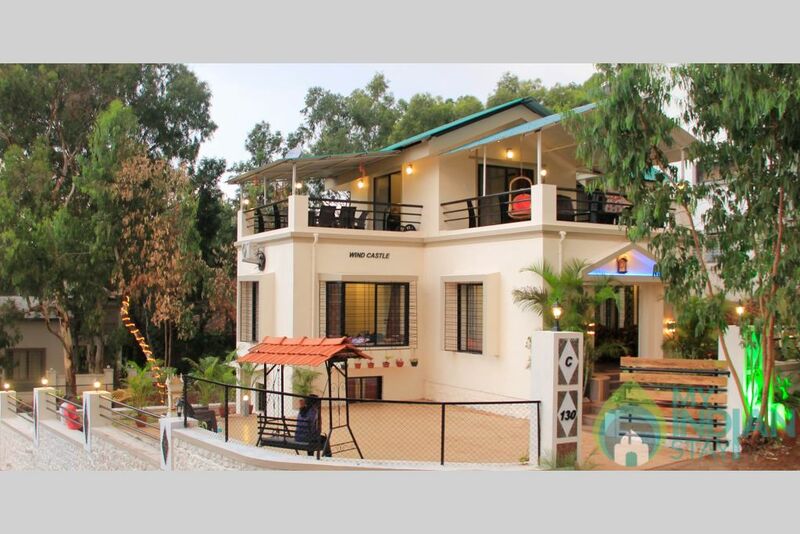 This Bungalow has 4 furnished AC bedrooms and a huge hall with attached bathrooms that come with 24 hours hot water. Inverter back up facility. Provision to accommodate 20 persons. It also has two beautiful terraces overlooking the panorama. It also has two beautiful terraces overlooking the panorama. Well Equipped kitchen with cook service. Cook can prepare and serve veg / non veg meals on order at material cost. Refrigerator, microwave and aqua guard filtered water. Bonfire and Barbecue available on request. Badminton and indoor games like Carrom and playing cards available. Landscaped garden with gazebo.